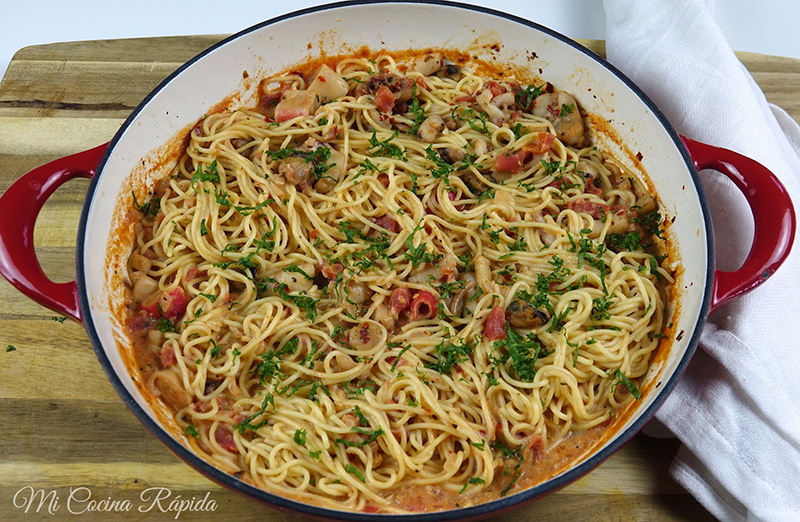 This delicious, homemade, very creamy and spicy seafood pasta would make your life easier and your tummy happier! As I mentioned on some of my last posts, one of my favorites stores is Grocery Outlet because I love to save money. All products sold at Grocery Outlet are regularly between 50-70% off! So this time that I went shopping I saw a lady taking about 4 bags of frozen seafood, that called my attention, so I decided to give it a try. 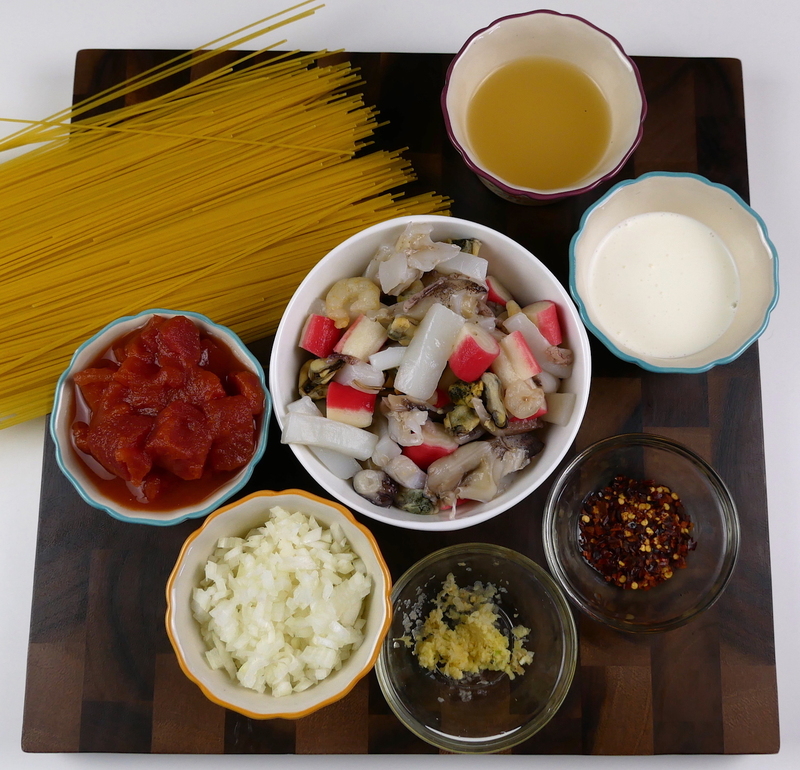 I took one bag and almost immediately knew that pasta was perfect for this seafood mix. Then I realized I have been blogging for quite some time and I’ve never shared a recipe using frozen seafood mix. So it was due time! To pair this seafood pasta, I stopped by the wine section at Grocery Outlet and I chose a bottle of Chardonnay, I think that pairs perfect with a spicy seafood dish better than almost any other white wine because it has a creamier flavor. What I liked about the seafood mix is that is no shelling or chopping involved. You can put this all together in about 25 minutes, including cooking time. No kidding. Add the onion and garlic and cook until transparent. Add diced tomatoes, chicken broth and heavy cream and simmer until sauce reduces a little bit. If you can find seafood broth you can substitute the chicken broth for an even more seafood-y flavor. Then just add the pasta and the seafood, mix everything until well combined and that’s it! Dinner is ready! I use thin spaghetti but of course, you can use whatever type of pasta you like. And that’s how this super easy Spicy Seafood Pasta Skillet was born. This pasta was so delicious that changed my opinion of frozen seafood mix.